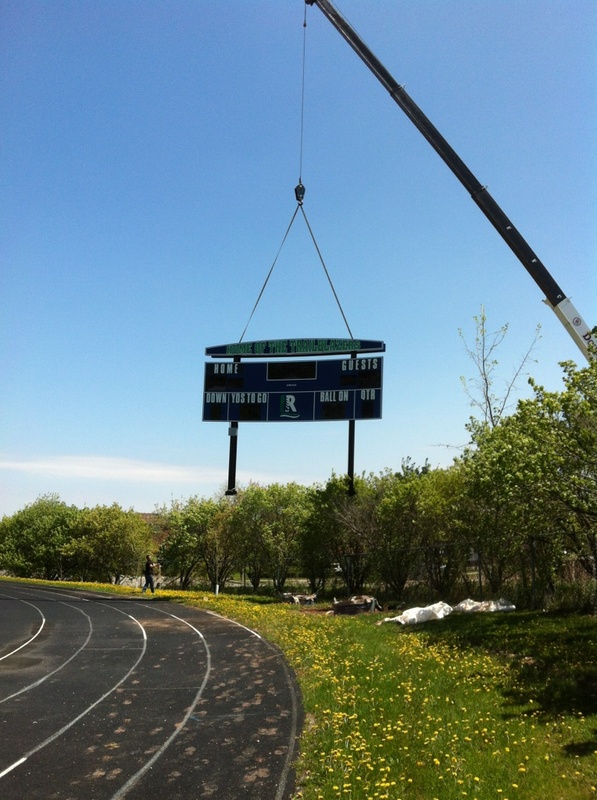 The new Nevco football scoreboard in Oakville was lifted into place recently at Iroquois Ridge High School. The 24′ x 8′ scoreboard with arched signs is now the focal point of the field. 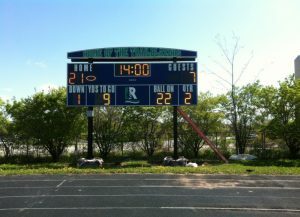 The Scoreboard Man installation team is second to none when it comes to safety and accuracy during the install of any scoreboard, message centre or video project.